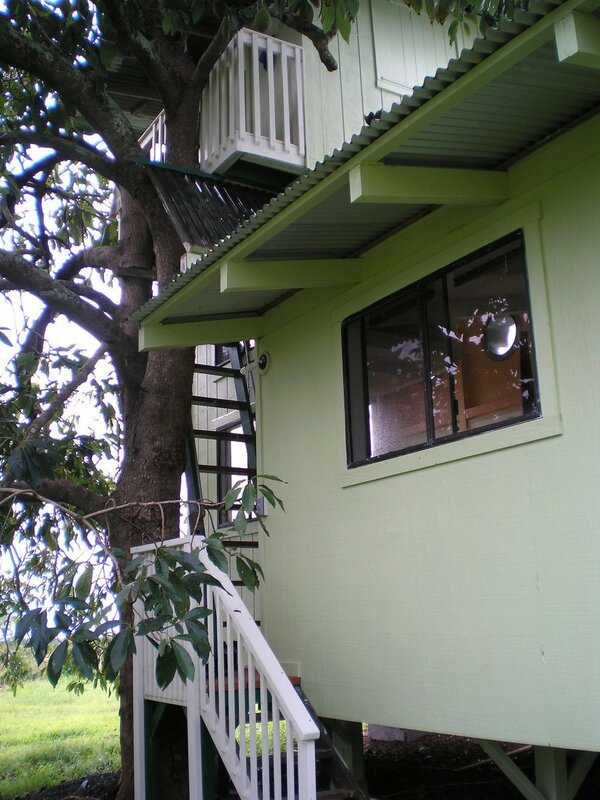 A cute abode built under and in an old avocado tree. 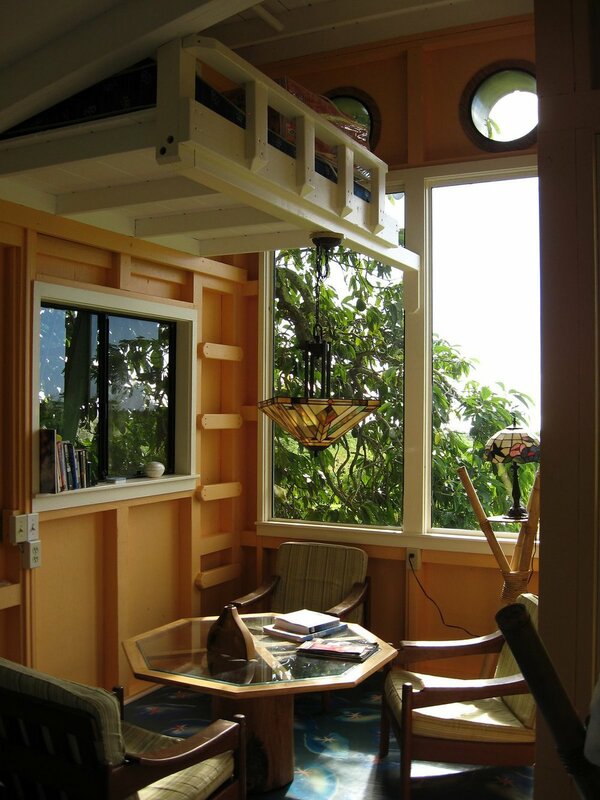 This cute abode is under and in an old avocado tree! 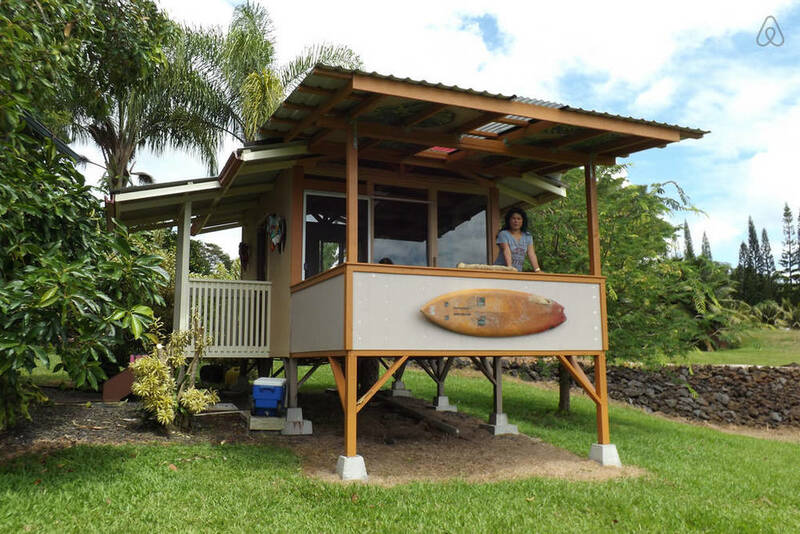 The main structure offers a hand made four post queen bed and a single bed loft. 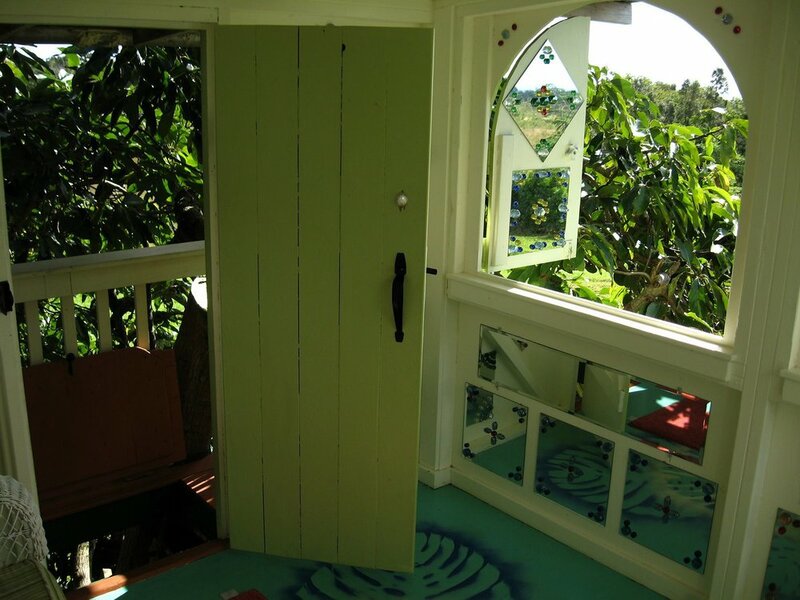 The Avocado House is perfect for a couple however the loft provides space for a child or friend (however not recommended for a toddler). 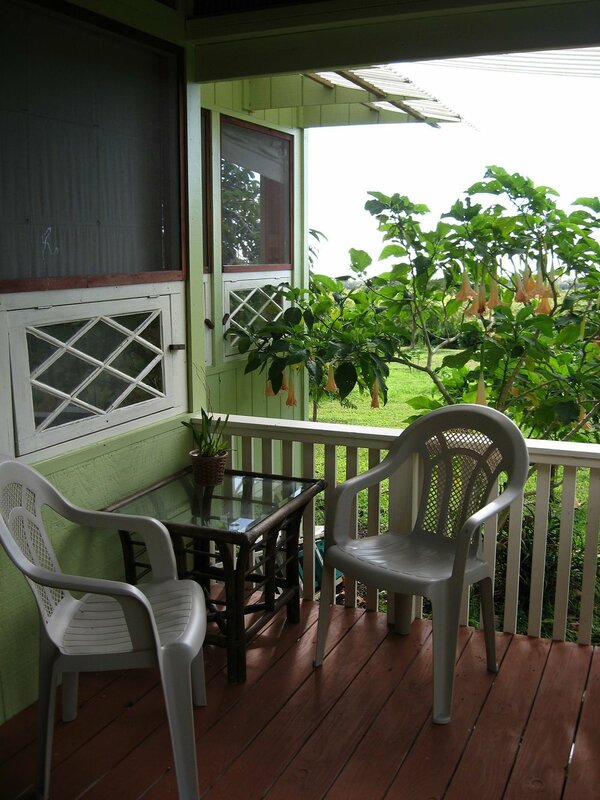 The little front porch with its wooden shake roof is just right for kickin’ back after a day at the coast or a hike across the crater. The upstairs is a magical little cubicle called the “Reflection Room” and is perched up in the tree. It sparkles with jewels, mirrors and stained glass. 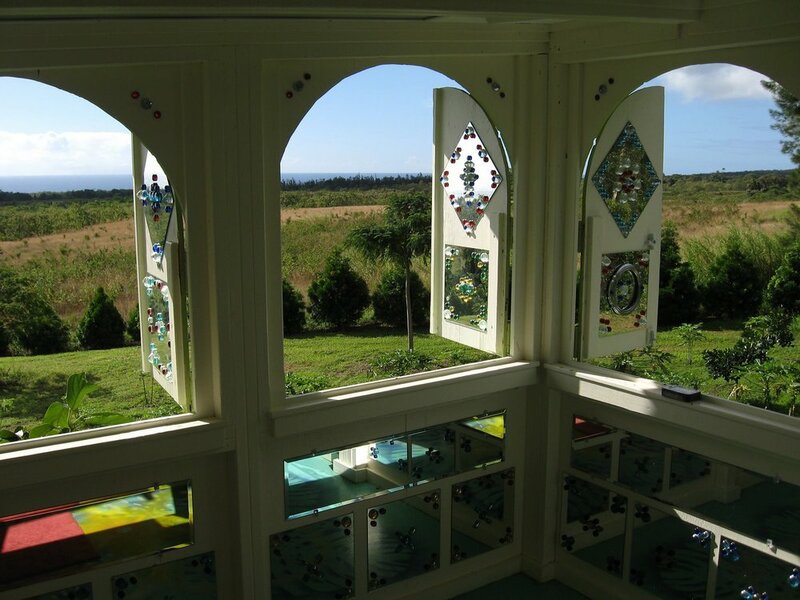 What a great place to read, meditate, star gaze and watch our magical sunrise! 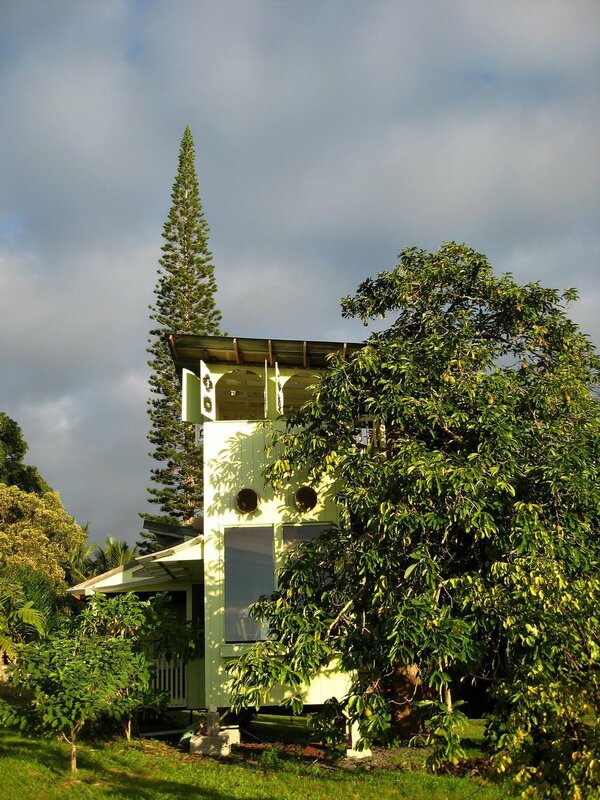 The Avocado Tree house features an ocean view complete with a full multilevel bath. 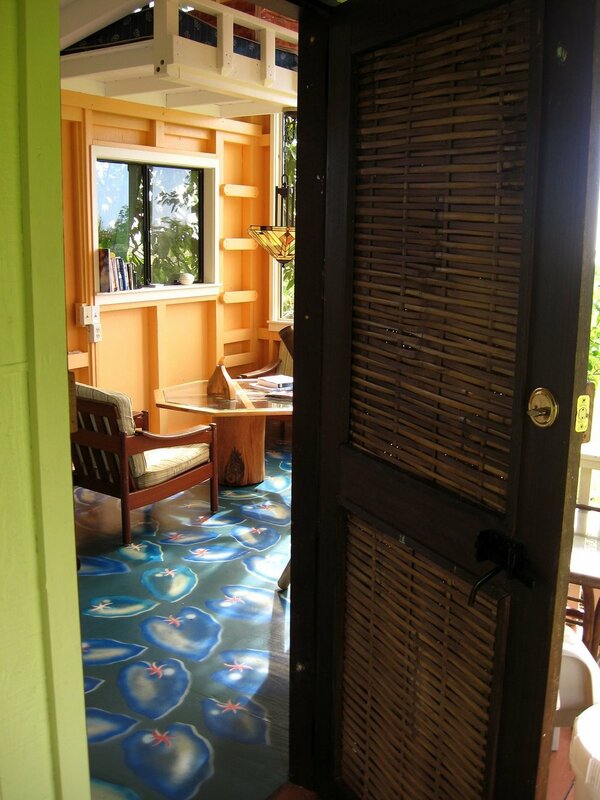 It has an abundance of solar power, wireless internet, hand painted floors and features a cool collection of funky art. The little kitchen is a separate structure just a few steps away. 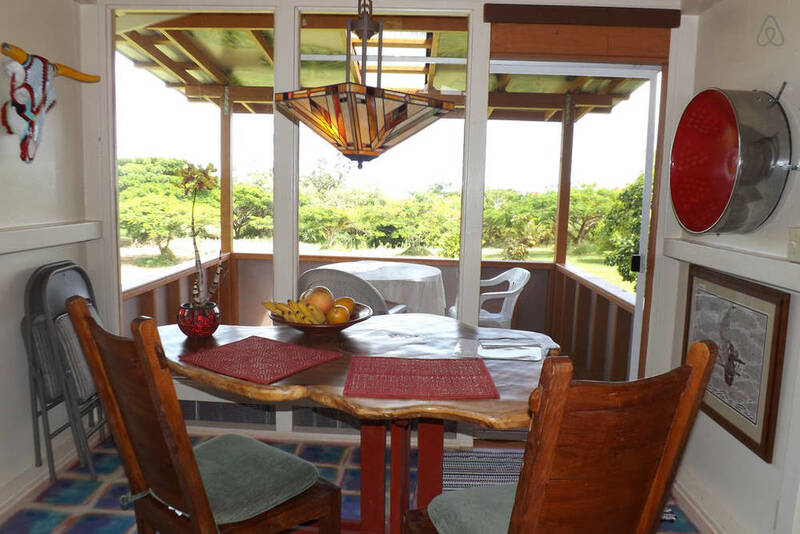 The kitchen boasts a monkey pod table shaped like the Big Island as well as a covered deck for outdoor dining. The kitchen comes stocked with all condiments and organic breakfast fixins (eggs, whole grain bread, fresh fruit, local honey, coffee and tea) so you can prepare your own breakfast at your convenience. 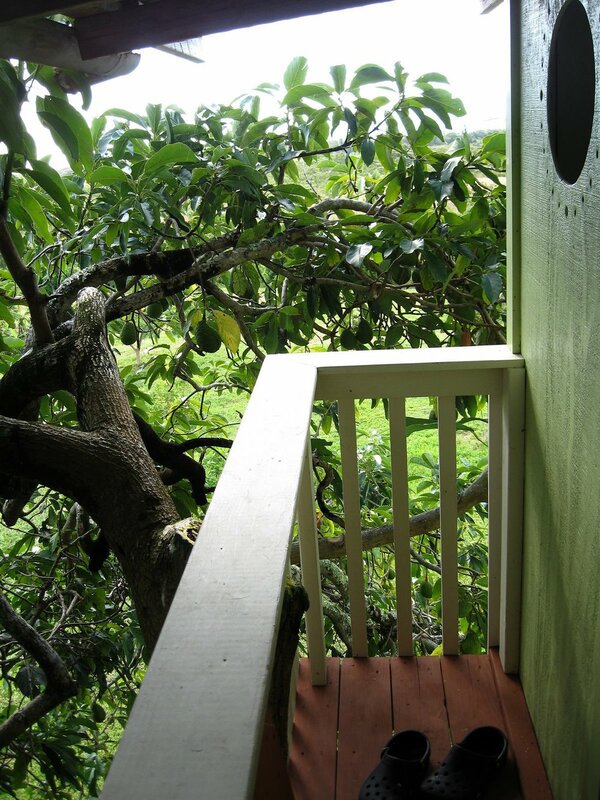 Everyone who stays in the Avocado Tree House loves it!